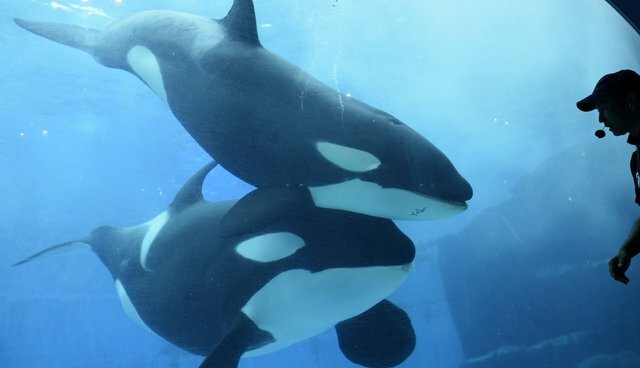 Valentin, the killer whale has died in Antibes' Marineland today the 29th October. The terrible news comes as a surprise as the director of the park had announced last Friday that all the killer whales were doing well despite the massive floods earlier this month that had destroyed more than 90% of the park. 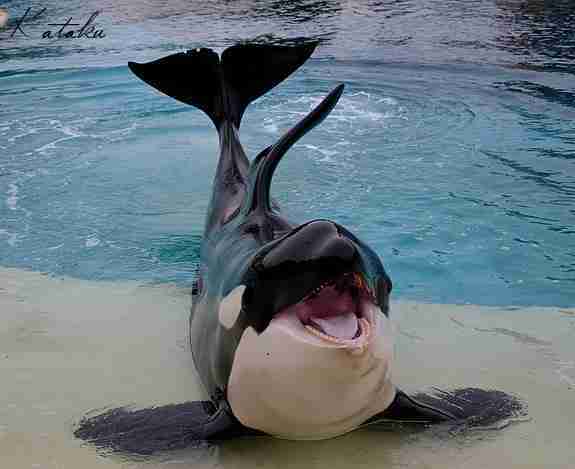 Valentin was a 19 year old male orca who was born on February 13, 1996, just before Valentine's Day. Valentin was his mother's only surviving calf out of five. The two were very close and could often be seen performing together up until her death in June 2015. Valentin is a large male but his dorsal fin is still rather straight for a male orca his age. Most male's dorsals in captivity are already half way bent around the age of 12 or 13. The park explains: "We have experienced an extremely difficult and unprecedented situation last week and have made every possible effort to secure the infrastructure devastated by the weather. The trainers, experts and emergency aid have done everything in their power to save the animals and secure the facilities." Despite all that, Valentin died but the cause of death is still to be determined. "At the time we don't know what may have caused his death but will do everything in our power to understand. Analyses will be conducted by a team of veterinary experts."